Home / Uncategorized / Cultivated Kids Dallas Showroom! I am THRILLED to announce our newest NEST! Little Bird Vintage Designs is now a part of the Cultivated Kids Showroom in Dallas Market Center! They were Awarded 2016 Best Dallas Showroom by Earnieshaw’s magazine! Dallas Children’s Market October 24-28th! I look forward to filling your orders!! A give is associated with every hand made product produced at Little Bird Vintage Designs. For every blanket, lovie or minky pillow purchased, a blanket is donated to a child in need. We have partnered with the Children’s Shelter of San Antonio to perfect a model to work with children’s shelters across the nation to ensure Gives take place within each community where Little Bird Vintage Designs products are sold. For all Little Bird Vintage Designs apparel and accessories sold, 5% of proceeds are donated to #feedingamerica programs through community food banks to provide meals to children in need in each community Little Bird Vintage Designs products are sold. This is what we call our Buy Love, Give Love Branch. We LOVE working with each of our boutiques and their customers! Looking forward to meeting you and having you join our flock! 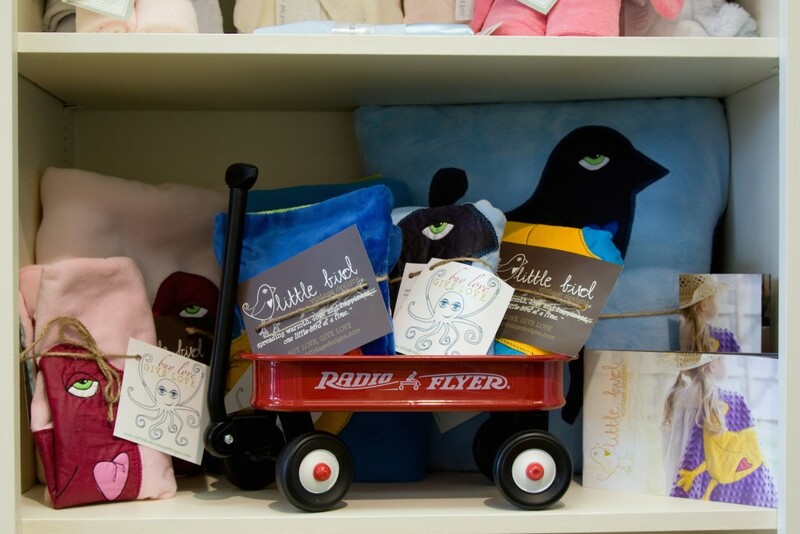 Bambino’s Fall Event with Little Bird October 15th!